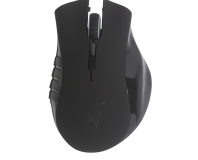 Can unparalleled adjustment and customization options make for a perfect mouse? 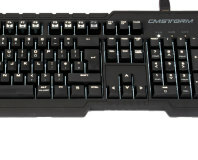 CES 2008 - Many who have followed industry news are quite familiar with the Optimus Maximus keyboard. 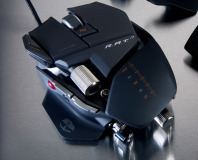 We have good and bad news - it's out next month and we've played with it, but it costs $1500 USD. 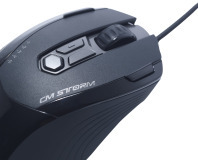 Just another in a long line of pants keyboards for gamers, or a device to finally challenge the Logitech G15? We find out. We check out the latest in the Revoltec Fight series, the Fightpad Advanced, to see if it can move us away from WASD to a dedicated gaming device. 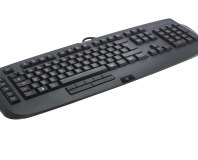 The Logitech G11 is the little brother to the awesome G15 keyboard. But as Spider-Man knows, with reduced cost comes reduced performability - or will the G11 be the keyboard to break that rule? Find out within. Can you mod a PC into a regulation match football and a pair of soccer boots for our tradeshow stand, asked Foxconn? No worries, replied Dave Williams - VIA EPIA to the rescue! When Creative approached us to build a series of awesome modded cases to promote their new Sound Blaster X-Fi soundcard, how could we resist? Our very own Mod God, Dave 'Macroman' Williams, marks a return to his finest form with this awesome mod.